Thank you for your interest in S.H.I.N.E. Global Ministry! We value your privacy. Our mailing list is used solely for our purposes and will not be given or sold to any other person or company for any reason. IMPORTANT: Enter your name and email address below and use the checkboxes to select the mailing list(s) you would like to join. Please use the checkboxes below to subscribe to one or both of our email lists. 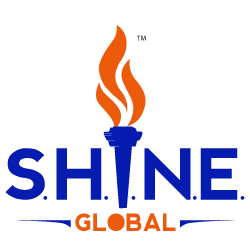 Joining the SHINE Subscribers interest group will keep you alerted regarding our ministry updates and joining the GHECE Initiative interest group allows you to receive free, advanced, gospel health evangelist continuing education cases in your inbox each month.